CARE Initiative | Pierce Mfg. Protection is an action that goes beyond the fire and the truck. 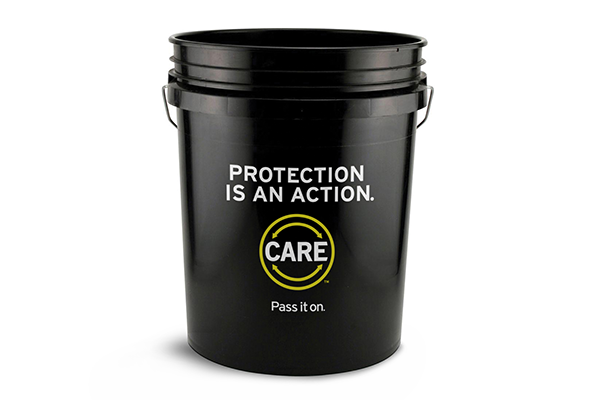 CARE (Carcinogen Awareness & Reduction to Exposure) is a pioneering partnership between Pierce Manufacturing and the Firefighter Cancer Support Network. We are arming employees, industry volunteers, departments, and communities with immediate resources to protect firefighters and their families from carcinogen exposure. Sustaining partnership with the Fire Cancer Support Network. Decon bucket provided as standard in 1,500 chassis. Cleanable apparatus seats and interior surfaces, exhaust options, decon outlets, high-impact HVAC filtration, and custom add-ons like decon showerheads reduce exposure to soot, exhaust particles, and other carcinogens. Providing assistance to help firefighters who have been diagnosed with cancer. Offering mentoring support by cancer survivors in the fire industry. Providing occupational cancer awareness & prevention training to thousands of firefighters across the nation. Create decon standard operating guidelines. Share your bucket with another department. Protection can be as simple as a clean change of clothes.